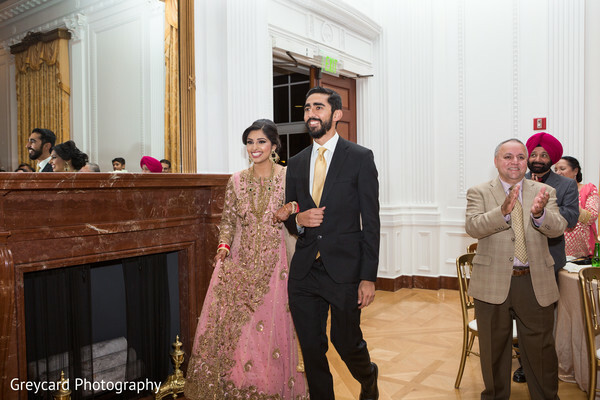 The lavish soiree found the perfect location in The Richard Nixon Library, this amazing place full of history and fine details received Ruchi & Robby and their guests for a night of dancing, food, and music! 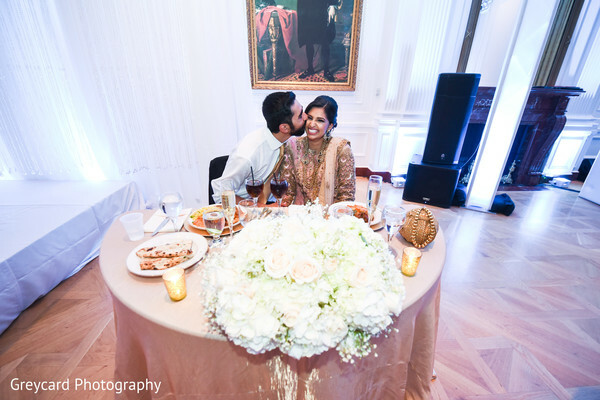 The ballroom décor was in hands of Ethnic Essence Couture Events’ team. 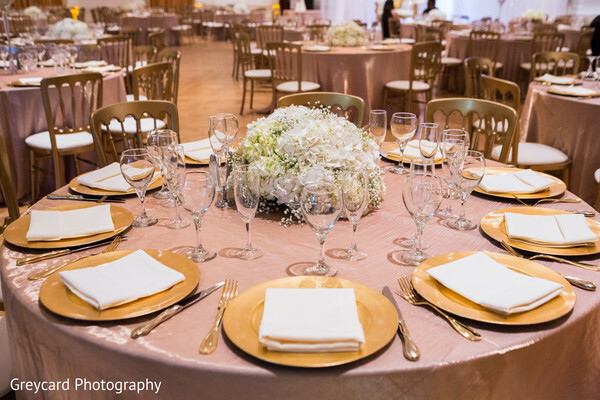 They delivered a captivating and elegant decoration in a palette of gold, ivory and pink blush that gave a sense of delicacy and gracefulness to the place! 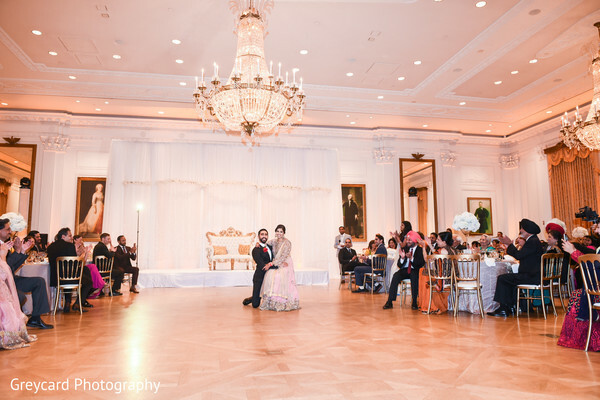 Ruchi showed her best style with a heavy embroidered pink anarkali suit that was completed with her stunning hairstyle created by My Fair Bride! 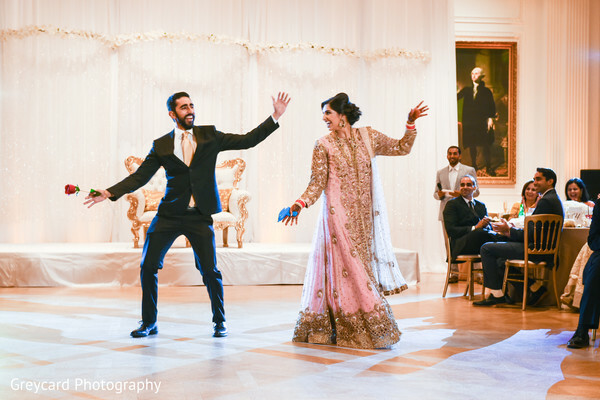 The charming bride and groom performed a lively choreography as their first dance as a married couple following the beats of DJ Scorpio. 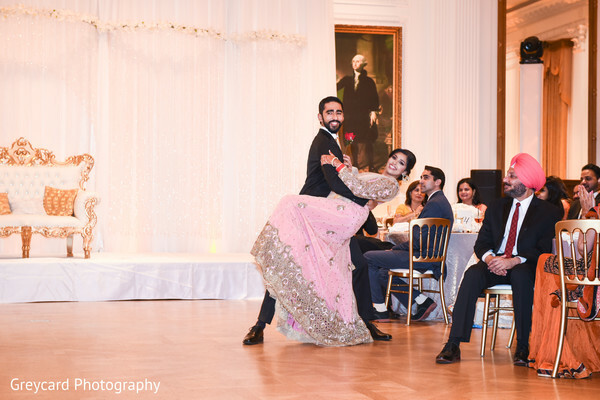 Every step of their dance and every highlight moment of the night was caught by the lens of Greycard Photography. 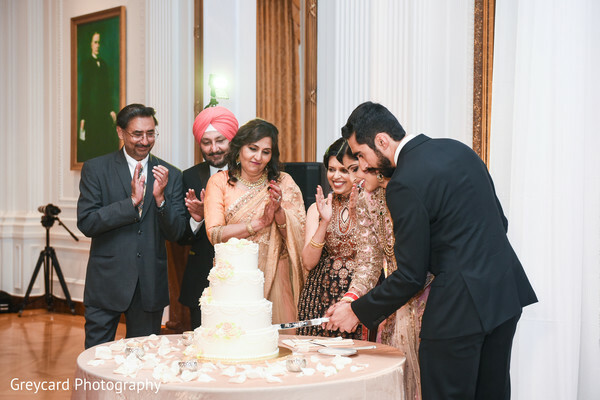 The fabulous cuisine of Tandoor Cuisine of India made the night even more memorable as they provided a fantastic dinner with their best traditional specialties for the grand occasion. See our full gallery for more great scenes! 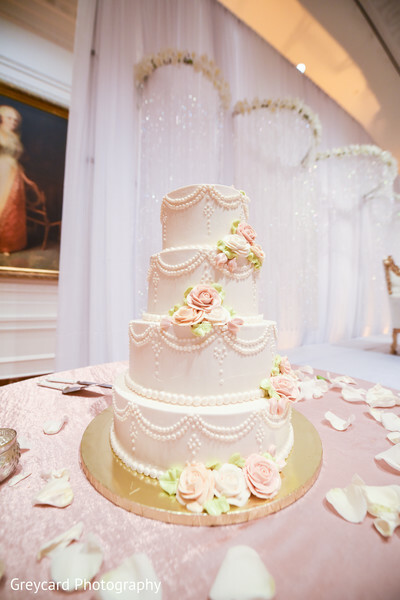 Explore many more top weddings on Monday! 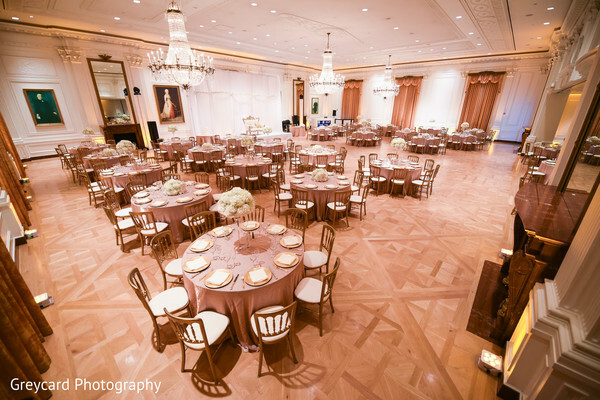 Ethnic Essence Couture Events, The Richard Nixon Library, My Fair Bride and Greycard Photography are members of the Platinum Guide. Love what you see? Explore their portfolios.